Shaina Gross is the President & CEO of Susan G. Komen San Diego. She began her career in women’s health, providing education, access and care to low-income, underserved women in North Carolina. She also worked closely with the immigrant community to break down barriers to health care. Prior to joining Komen San Diego, she was the Senior Vice President at United Way, leading community collaborations and partnerships, programs, public policy and advocacy, and grant writing. Shaina believes that all people deserve the same opportunities to be healthy and receive quality care, and has dedicated her career toward this goal. Born and raised in New York, Shaina received her BA in Sociology and her Master’s in Public Health, both from the University of North Carolina at Chapel Hill. 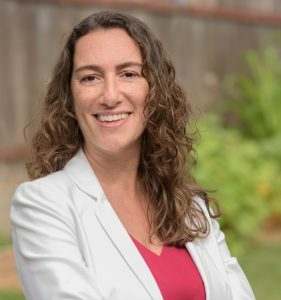 She is a LEAD San Diego Graduate, a nominee for the Herb Klein Visionary Award, was recognized as a 40 under 40 business professional in San Diego, and was a 2014 winner of the San Diego Business Journal’s Women Who Mean Business award. Outside of work, you can find her spending time with her family, seeking out live music, watching Tar Heel basketball, and enjoying the many great restaurants San Diego has to offer.